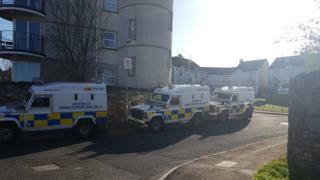 A pipe bomb has exploded in a garden in Londonderry. The incident happened in the Montgomery Close area of the city at 02:00 GMT on Sunday. No one has been injured and no damage has been caused to the property.